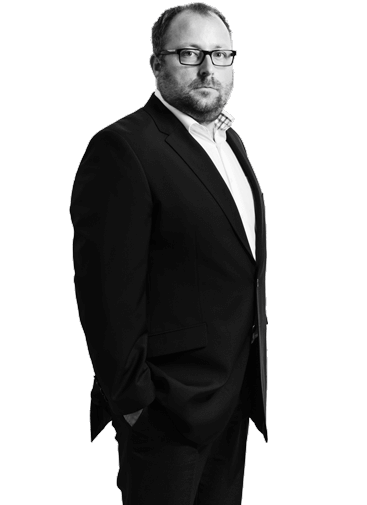 Michael Novák has been working for the rutland & partners law firm since its establishment in 2010 (at that time under the name rutland ježek). Michael became a partner in the firm in 2012. In 2018 he participated in the rebranding of the firm as rutland & partners. Since 2010 Michael has specialized in the area of retail leasing, providing complex legal advice to the owners of the Czech Republic’s top shopping malls. During that time he acquired wide experience in the relevant law and without doubt has become one of the Czech Republic’s leading lawyers in the area of leasing. In addition, Michael has long experience with complex real estate acquisition projects. He has dealt with most of the complex legal issues arising in such transactions. Michael has managed due diligence investigations on behalf of buyers, sellers, and financing entities. In the course of such transactions, he has drafted real estate and share acquisition documentation and taken charge of subsequent proceedings. In addition to providing general corporate and commercial legal services (organizing general meetings, managing changes in capitalization and corporate structure, etc. ), Michael has overseen several major mergers and spinoffs, taking charge of merger structuring, drafting documentation, and registration. Mr. Novák is the head of the Rutland & Partners leasing team. As such, he represents large corporate real estate owners, e.g. the operator of two of Prague’s largest shopping and entertainment centers, in all kinds of negotiations of terms and conditions with their tenants. In addition to providing general corporate legal services (such as preparation of general meetings, registration of changes in the Commercial Register, etc. ), Mr. Novák contributed to the successful consummation of several mergers and spinoffs, taking charge of merger structuring, drafting documentation, and entry of the transaction in the Commercial Register of the Czech Republic. Mr. Novák has long experience in complex real estate acquisition projects and has dealt with nearly all legal issues arising in the context of those transactions. Mr. Novák has performed due diligence investigations on behalf of buyers, seller, and financing banks, assisted in drafting real estate and share acquisition documentation and has been in charge of the subsequent proceedings. Mr. Novák provides ongoing legal advice regarding various post-acquisition matters, including corporate law issues, negotiations relating to lease agreements, construction and development issues, etc. Due to his background in economics and his superior analytical skills, Mr. Novák provides his clients with legal services that take into account both legal and commercial considerations, thus creating true added value for the client. In addition to services generally provided to business entities (such as drafting and revising commercial contracts), Mr. Novák has taken part in a number of business transactions (transfers of business and business interests) with respect to companies active in various industries, including retail sales and information and communication technologies. He has provided advisory services to clients on a number of legal issues related to the structuring of transactions, contracts, and corporate issues. Mr. Novák has been recognised by the publication Legal 500 (2013, 2014) for his expertise in the real estate and construction areas.